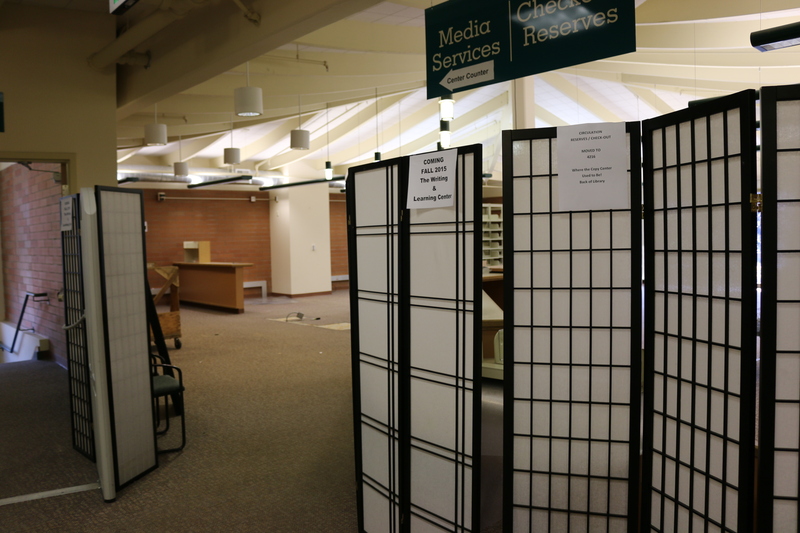 The library’s collection of children and young adult books, curated over many years and through the contributions of many staff members, is being relocated to the Parent-Child Center for their direct use. A lesser number of titles will be shelved back into our circulating collection. As the resources no longer directly support a curricular program here at the college, we made the change to enable greater ability to seat patrons and other visitors to the building, using adult-sized furniture and other accessories. Coming soon! This is one of many transitions we’re making on this floor of the 4000 Building to better accommodate the multiple needs of Tutoring, the Math Learning Center, The Writing & Learning Studio, and the Library along with all their well-wishers. We heard from many constituent groups that seating space was a priority, we agreed, and we pushed ahead. This is a model for future innovations within the facility, so please continue to visit the building and vocalize your concerns along with your compliments. Lots to do and we’re not done yet. On behalf of a hard-working library staff, thanks. TSS will open up 4102 so that students have lab access for their computing purposes during this interim from 10 a.m. – 2 p.m., M-Th (August 17-20 and August 24-27). Instructors wishing to put material on reserve prior to September can contact Chris Matz, Library Director, via phone at 206-546-4558 or via email at cmatz@shoreline.edu for assistance at any time. Tutoring services and the Library will re-open on Tues., September 1 and keep standard break hours (8 a.m. – 5 p.m. M-Th; closed Fridays) until Fri., September 18. MLC and TWLS will announce their own schedules as Opening Week approaches. I am proud to work with staffs from all four offices who, with tremendous help from Facilities and countless well-wishers, worked tirelessly to get everything ready before the new academic year begins. We all look forward to bragging on our accomplishments these past few months in a formal setting very soon.